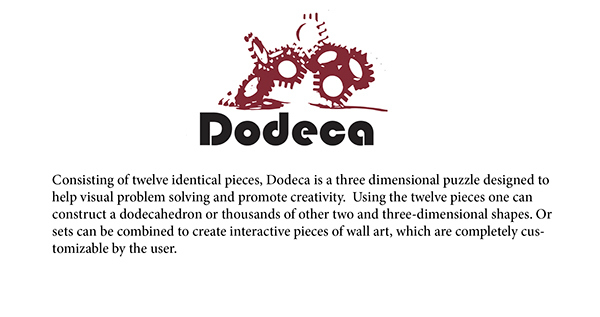 Consisting of twelve identical pieces, Dodeca is a three dimensional puzzle designed to help visual problem solving and promote creativity. Using the twelve pieces one can construct a dodecahedron or thousands of other two and three-dimensional shapes. Or sets can be combined to create interactive pieces of wall art, which are completely customizable by the user.